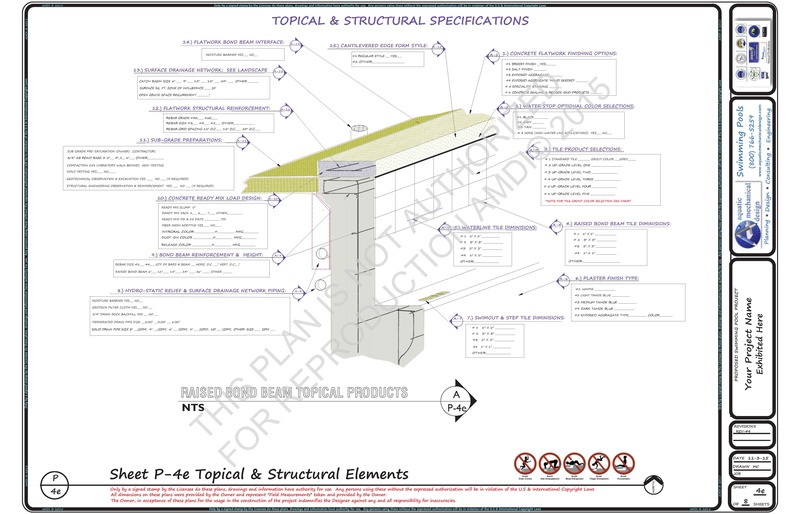 From this plan the additional CAD layers will be incorporated into this drawing as the base layer for the overall design so, we’d like it if you can take one last look at everything regarding this desire and confirm that it is correct. 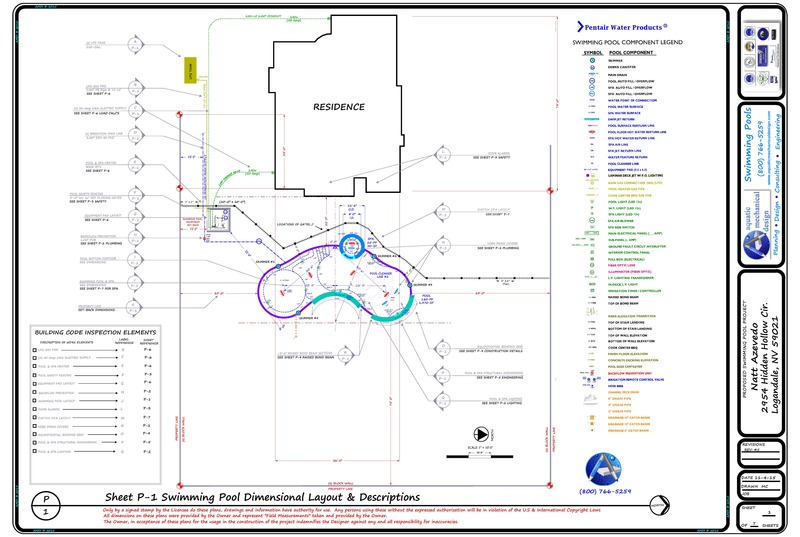 Also…please indicate where the gates are to be located and if the 6′-0″ Fencing Off-Set from the pool’s edge is correct. You may make notation as to any corrections that are necessary at this final draft but, future changes will incur considerations for additional time / fees. 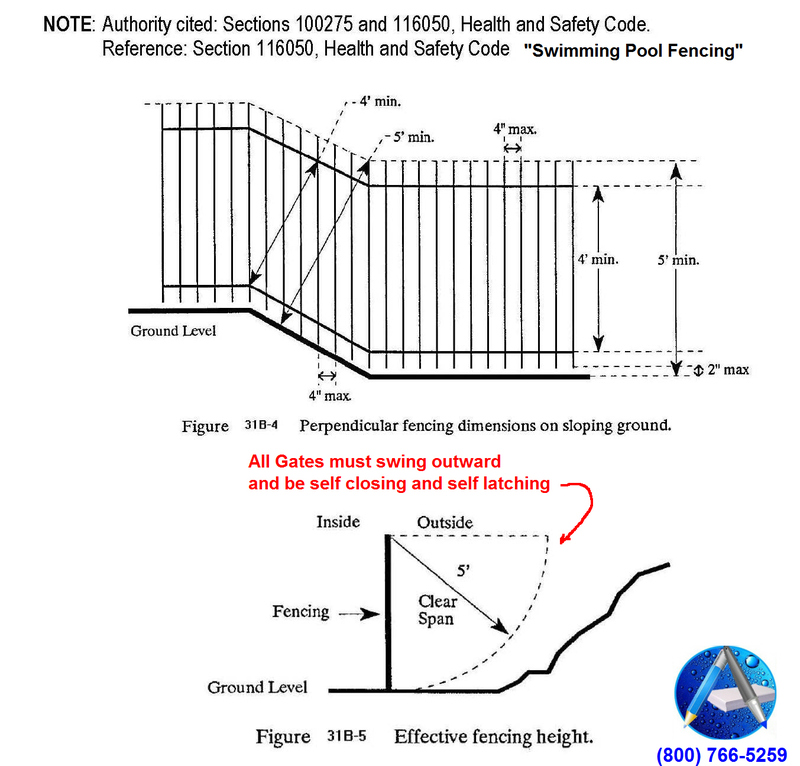 The Pool Safety Fencing and gates will need to be 5′-0″ in height and according to the Swimming Pool Safety Barrier Regulations. In order to review click HERE. 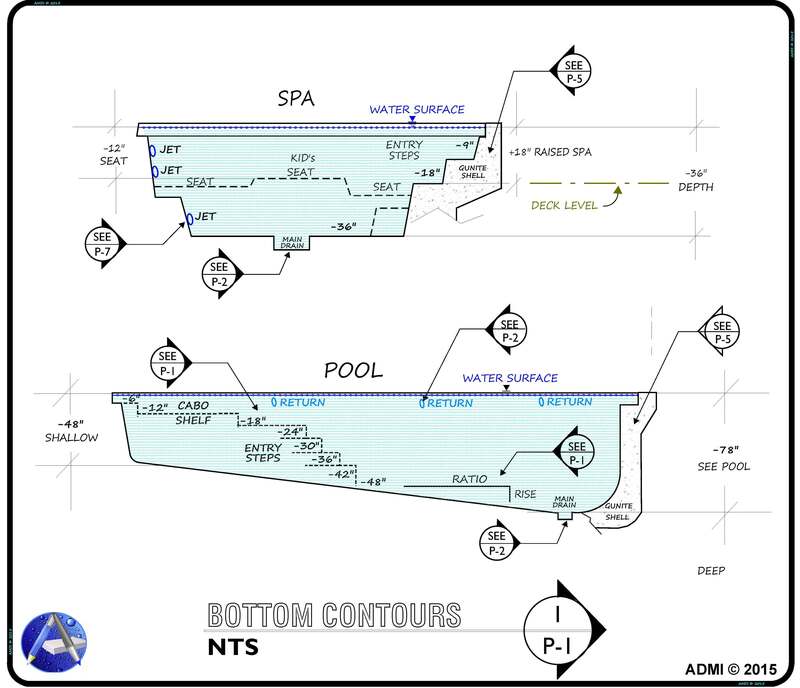 If you can also provide me with “dimensional references” on this latest Sheet P-1 regarding your intentions for the concrete decking that is supposed to go around the swimming pool this would be most helpful. 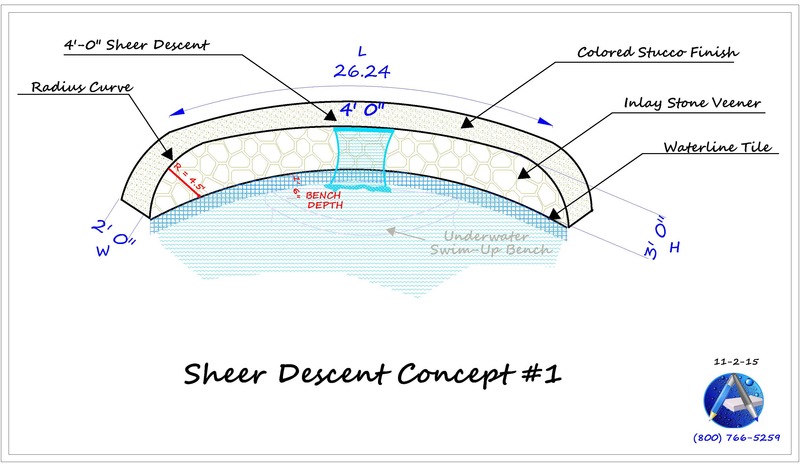 This Section example would be placed at the two locations where the design calls for Sheer Descent Waterfalls. It represents 2′-0″ wide x 3′-0″ high and 26′-3″ in length, that positions a Sheer Descent Waterfall having a radius 12″ cut extended lip that centered @ a 4′-0″ width. 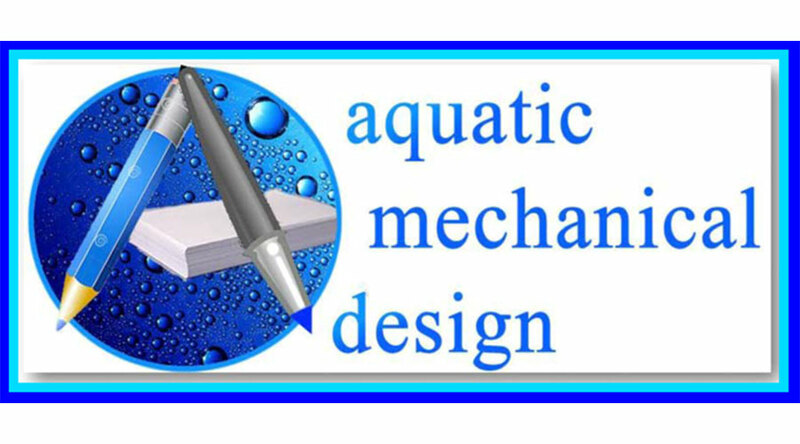 The pool’s 6″ waterline tile and RBB’s topical products would need to be determined by you and exhibited on the Plan Detail that is provided, Click HERE to view.